Do you remember when bunk beds used to be the old military type made from metal and they were the most uncomfortable beds you could possibly put your children in? Not to mention getting up and down from the top bunk was nothing less than torture, but today stairs and creative ladders have made bunk beds the hip furniture choice in children’s rooms today. You will be surprised how many new varieties are on the market and how you can find the right bed for your growing kids. 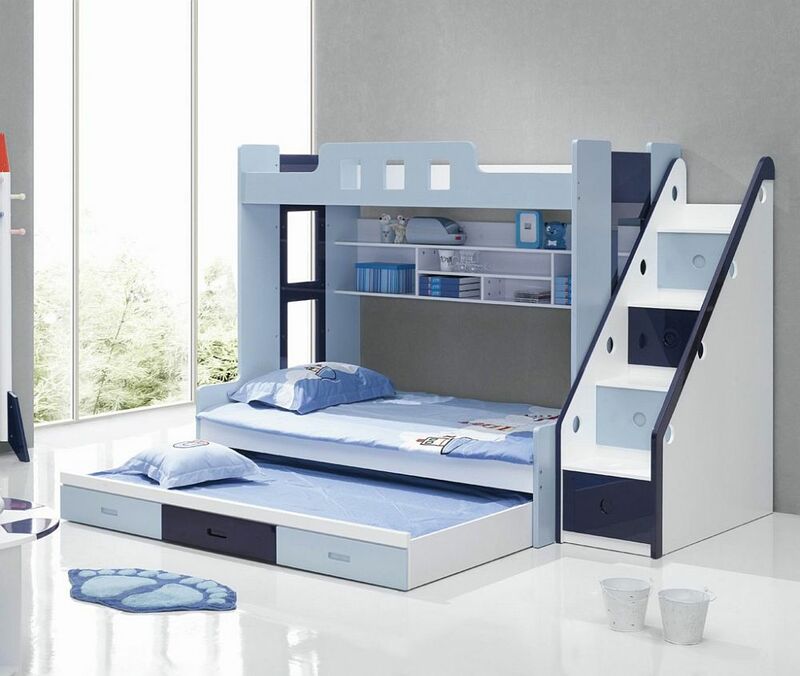 While bunk beds are a great addition to any child’s room, ensuring there is enough room should be your first priority. The beauty of bunk beds is the ability to utilize vertical space but horizontal space is essential for walking around the bed safely without bumping into each other. Remember that features such as stairs, ladders, drawers, and trundle bunk beds will require more space to maneuver around and still have walking space. 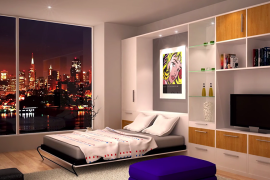 Ensure the room is large enough to have ample room for all these functions. 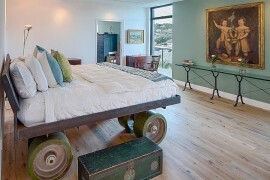 Factor in a few feet walking distance around the stairs or ladder for children getting up and down the bed safely. When looking at beds ensure your children are with you in the final buying stages or at least know how they will maneuver stairs and ladders. Bunk beds will need an accessible way to get to the top bunk. Stairs that are too narrow or even hard to see stairs tucked away and out of sight can be a tripping hazard for young children. If possible, test how easy it is for them to climb the stairs and ensure a handrail is available for holding onto. 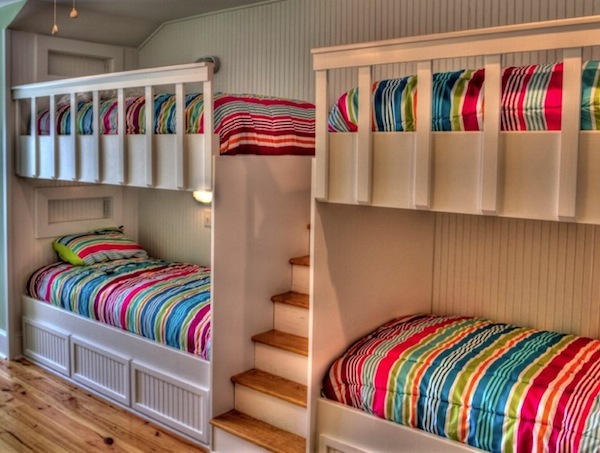 Several bunk beds don’t have handrails are made for older teenagers or children who don’t need to worry about balance. Keep this in mind when looking for beds for the appropriate age group. 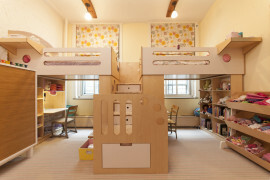 What type of bunk beds fit your lifestyle and decorative style? Bunk beds with stairs come in a variety of shapes, configurations, and decorative styles. Choose from a twin bed over a twin bed, or a full bed on the bottom and twin on top. 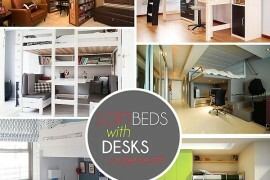 Another option to consider are loft beds that enable a desk or other large function below the top bed! Perfect for smaller rooms that need to conserve space. Ensure stairs or ladders are easy to access with any type configuration you decide on. Bunk beds are finally cool again and whether you choose a self-assembly type from a furniture store or you prefer to build a custom bunk bed style, the options are limitless. Once you decide on the type of bed, consider the safety of your child and plan for enough space around the stairs and ladder. Your child will love how independent they fill in their new bunk bed!